Strathalbyn is one of those country towns that make you think of Britain. An imposing church presides over a pleasant stretch of river complete with ducks, gently sloping banks and an old fashioned rotunda. Huge Norfolk pines are mingled with classic river red gums and picnicking families often spread blankets on the banks and eat sandwiches or barbecue a few snags. But the rustic charm is not sound-tracked by the gentle call of songbirds. Quite the opposite, it is the raucous call of parrots that often fills the air. 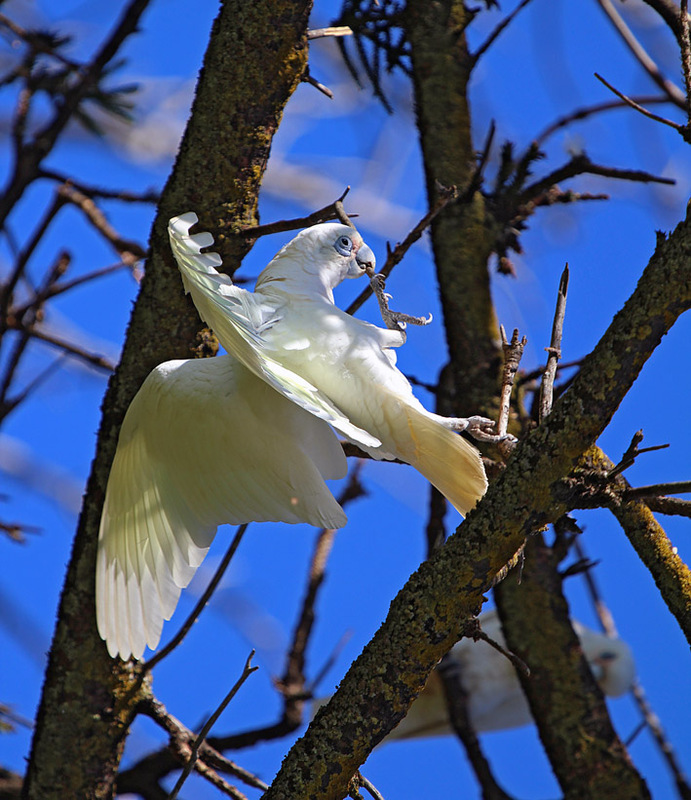 Large flocks of short beaked corellas frequently descend upon the trees that line the Finnis River where it passes through the town. They are particularly fond of the towering pines and hundreds will sit along the branches of each tree tearing at the cones and limbs with their powerful beaks. 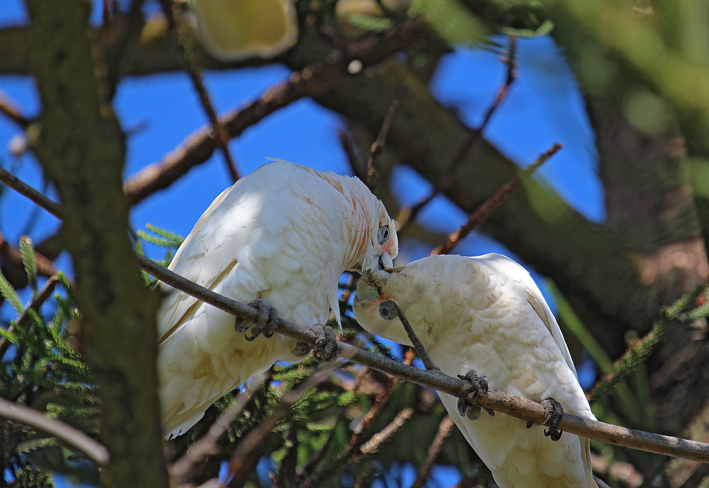 At the same time they engage in a variety of typically cockatoo-like social interactions ranging from mutual grooming and preening to wing flapping, mock fights and beak duels; all of which are accompanied by a variety of screeches and squawks. Short-beaked or little corellas (Cacatua sanguine) are, as the name suggests, a member of the cockatoo family. They grow to around 40 cms in length and can weigh over half a kilogram. These corellas often congregate in flocks that can number thousands of birds. They are mainly ground feeders, rooting out tubers and bulbs and are particularly fond of cereal crops like wheat and barley; a habit which does not endear them to many farmers. 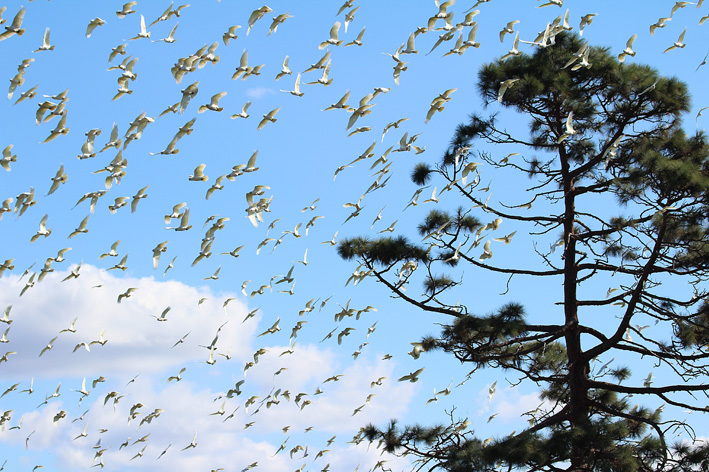 Although most locals and visitors alike enjoy the sight of thousands of graceful white birds wheeling through the sky, the continual noise and quite substantial damage to the heritage trees has become a significant problem. Various means have been employed to move the flock to the outskirts of the town including: culling, high frequency sound bursts and quite recently using a trained peregrine falcon to discourage them. 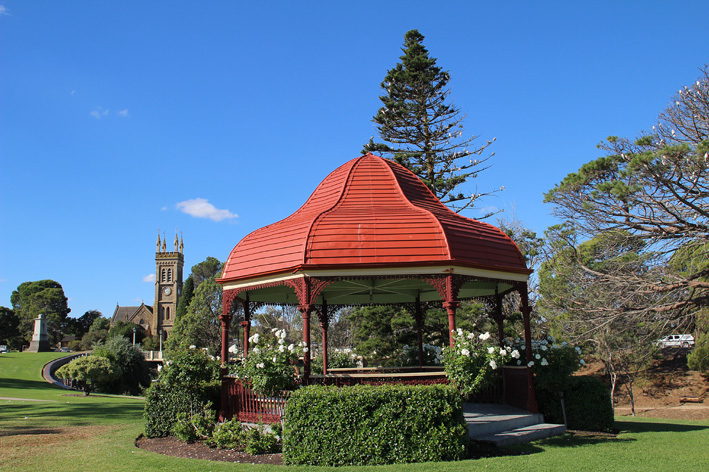 Strathalbyn is only an hour’s drive from the city and the wildlife along the Finnis and open bushland that dominates the area makes it a wonderful day’s outing. And the corellas are the most endearing of birds to observe despite their rather destructive disposition. I hope you enjoyed this story.